Gone are the days when men would dress up in their 3 piece suits, floppy hats and braces or Suspenders! 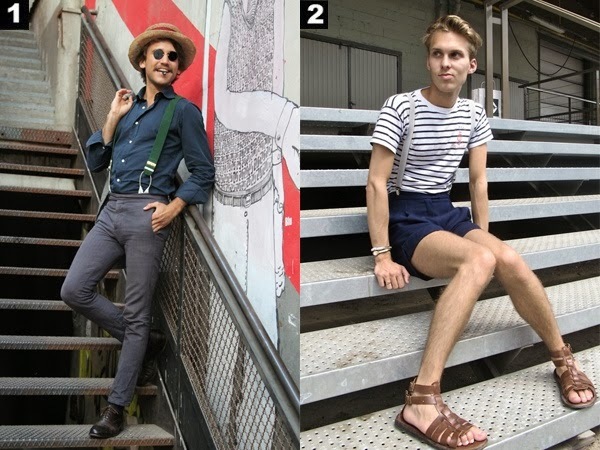 Men are more towards the easy casual dressing. ‘Braces’ or ‘Suspender Belts’ dated back to the 18th Century and were made of ribbon strips whose only purpose was to hold the trousers in place. It was a taboo to wear them unconcealed. 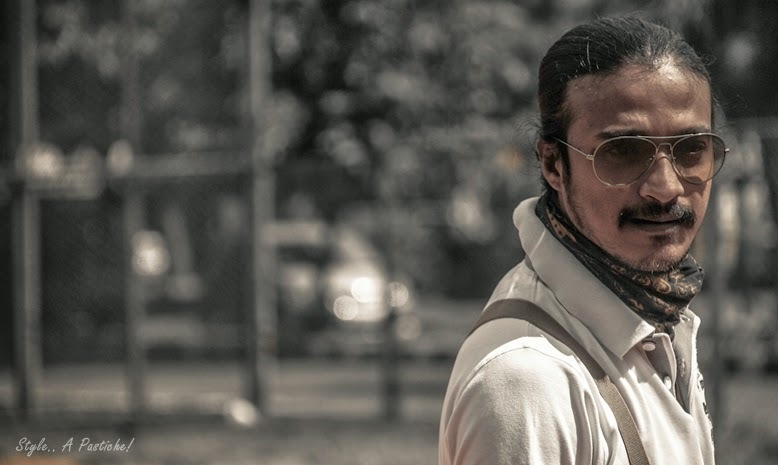 Until actors like, Humphrey Bogart, Clark Gable, Garry Cooper, Ralph Richardson and Marlon Brando (who also wore T-shirt as a garment and not as an undergarment) popularised them, that they were accepted as pieces of accessories to enhance ones fashion quotient and not treated as mere fasteners. I guess we still haven’t seen that many men adorning this accessory. Of the few I have seen, I think my friend Prem carries it off with quite a lot of gusto. His outfit was styled for a lazy Sunday afternoon casual look; the colour palette was kept neutral and colours chosen were white, beige, brown and khakhi. 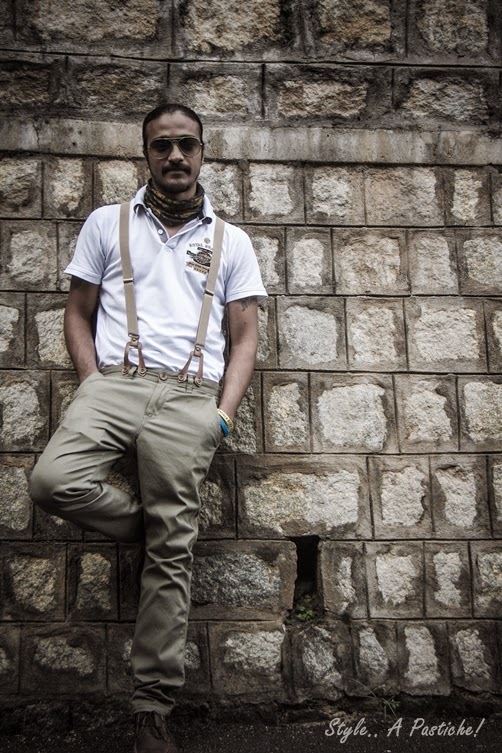 The Buff and the Aviators gave the look a ‘Biker inspired’ feel to it. In my opinion Ed Westwick – from ‘Gossip Girls’ series pulls off the formal look with utmost perfection. Do you like this accessory and how would you wear it.. formal or casual? I think suspenders are kinda cool! Gotta love suspenders 😀 Wish my husband would wear them! haha this is such a cute post. The first images the new with the actors are so cute and I love, love their style so much. 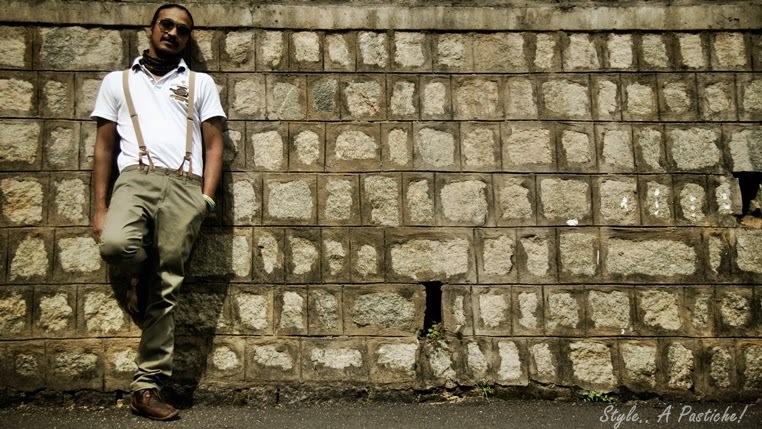 the suspender style is really classy! 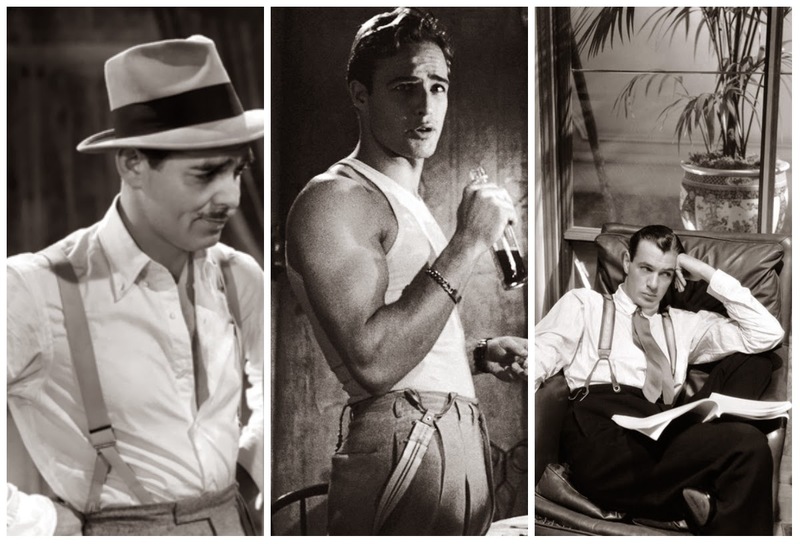 Those old actors really knew how to pull off suspenders.